Nayan Ramachandran is living the dream. As the senior marketing manager at Playism, an Osaka-based startup engaged in everything from localization to software testing, he gets to live in Japan and work in the industry he loves - his dream job coming out of college. He's won the proverbial nerd lottery. 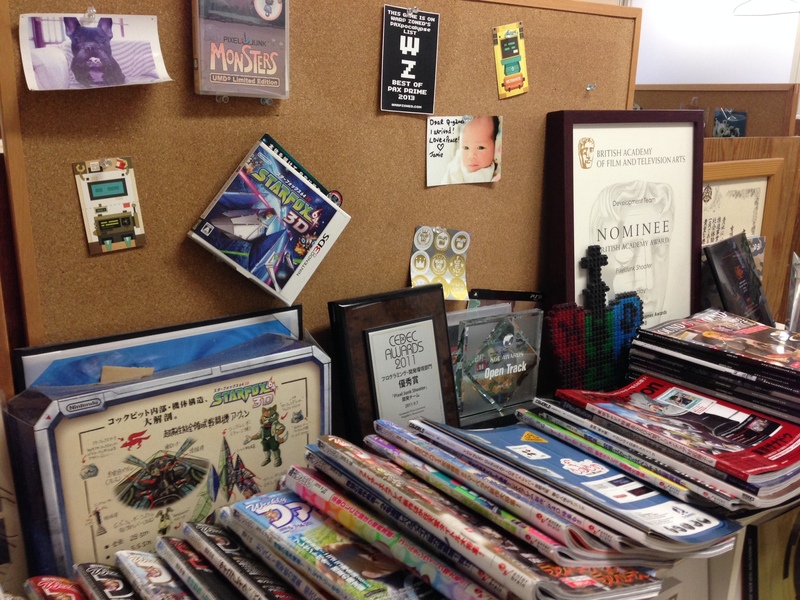 "When I was in college, I absolutely loved games, anime, and manga," he remembers. "I was thinking, 'I would love to live in Japan one day.' For a long time I couldn't figure out how to do that. I found out I could teach if I wanted to. Right out of college I moved to Japan to teach." Ramachandran eventually graduated into copywriting, and a few years later, found himself at Playism as a localizer - a goal of his since first reading an English language copy of Megami Tensei. Now he wears one of many hats for Playism, Kickstarter collaboration being one example. I was introduced to him as a kind of facilitator - the guy you need to know if you want to build connections with Japan's gaming community. He's one member of a tightly knit community of foreign video game professionals in Japan, many of whom have settled down and started families in their adopted country. Based primarily in the Osaka and Kyoto region, but with a presence in Tokyo as well, they are both making their own games and bridging the gap between Japanese indie developers and the west. I've been following this community for some time now, mostly through 8-4 - a localization studio comprised of former journalists who are best-known for their popular podcast. I've long been struck by their love of Japanese culture and games, which has bonded together a diverse community, and I've wanted to delve deeper into their unique relationship with their new home. I finally got my chance over the summer, when I traveled to Japan to cover BitSummit, giving me an opportunity to finally meet and interview several of them for the first time. What I found was a community that has built strong ties to Japanese indie development over the past few years, whether as indie developers themselves or as business people, localizers, or organizers. This relationship was born out of Japan's deep ties to the beginning of gaming, and it's getting stronger by the year. In one way or another, foreigners have been working with Japanese game developers for a long time now. But if the current group has any one seminal moment, it may have been in the summer of 1990, when a small British studio called Argonaut was invited to Kyoto to show Nintendo how they had managed to produce 3D graphics on the Game Boy. Among that group was an 18-year-old Dylan Cuthbert, who had joined Argonaut the year before as a programmer. The story should be a familiar one for Nintendo fans: Nintendo was impressed, Argonaut was given a contract, and the Super FX chip was born. Cuthbert wound up staying in Japan over the next several years to work on games like X and Star Fox; and in that time, Kyoto left its mark on him. The ancient capital is very different from Tokyo, which is vast, sprawling, and at times, faceless and intimidating. Kyoto in some ways can be compared to Boston, a much more contained and traditional city that mixes equal parts old and new. "In general, I find that the people in Kyoto are much more down to earth than the people in Tokyo. They're much more relaxed. They're much more friendly, at least. It also comes from the student influx," Cuthbert tells me over a conference table at Q-Games, which sits in a small alley in the heart of Kyoto's business district. "We have all the big univerisities here, so we have a massive student population. It's part of the town, I guess, which adds a lot of the flexibility for the dynamic nature of the town." Cuthbert has been in Kyoto since 2001, where he runs Q Games - one part of the Kyoto Triangle of independent studios run by foreigners. He has also spent time in the U.S. and Tokyo, but Kyoto is home for him. His love for the city is evident whenever it comes up in conversation, particularly when it's compared directly to Tokyo. At one point he says of Japan's commercial hub, "You can say you live in Tokyo, but it's very difficult to meetup because everything is so far away from each other. I lived there for three years, and the main thing I disliked about it was that it was very difficult to get people to go and have an izakaya drinkup, because they all have to catch the last train back. It's such a long commute in the first place that they're all tired at the end of it. In Kyoto, three times a week we'd be out drinking, eating, etc. Then you'd go home and crash." Cuthbert's presence in Kyoto has slowly but surely drawn in more game development; but when he first arrived, there was virtually nothing, he says. "People would be like, 'What are you doing here?' And we would say, 'We're doing our own game for PSN,' and they had no idea what we were talking about. But over the years people sort of slowly gravitated toward Kyoto, and a lot of that was because of the games we were developing. In some way sit put Kyoto a bit on the map. People said, 'They're making games in Kyoto, and it's such a nice place to live.'" The year after Cuthbert established Q-Games, his friend Giles Goddard - another Argonaut alum - established Vitei, which its best known for its work on Steel Diver for the Nintendo 3DS. Just recently, Jake Kazdal moved to Kyoto to open a branch of 17-Bit Studios, creators of Galak-Z. Kazdal partly credits Cuthbert for the decision, "Dylan and Giles are both old friends of mine. Dylan has been telling me how great Kyoto is for years. He's like, “F*ck Tokyo, you've got to come down here." He’s one of the main reasons we came down to give it a real legitimate look. But between Dylan’s studio, which has probably 20 foreigners, Giles has got 10 or 15. There’s a big non-Japanese game developer community here in Kyoto. Arguably, bigger than Tokyo even. In terms of actual production and developers, especially." "People would be like, 'What are you doing here?' And we would say, 'We're doing our own game for PSN,' and they had no idea what we were talking about." On Kazdal's presence in Japan, Cuthbert says, "You know how communicative he is. The best thing about [him moving to Japan] was that he has a very strong connnection to Seattle, which has a vibrant and exciting indie scene. He kind of brought that connection with him, and that brought over even more interest." The presence of studios like Q Games in Kyoto has created a kind of family atmosphere among game developers. Everyone knows everyone, and there are regular get-togethers at local establishments for drinks, gossip, and networking. Developers who are passing through are also welcomed with open arms, indie developers attending events like BitSummit having become a staple. 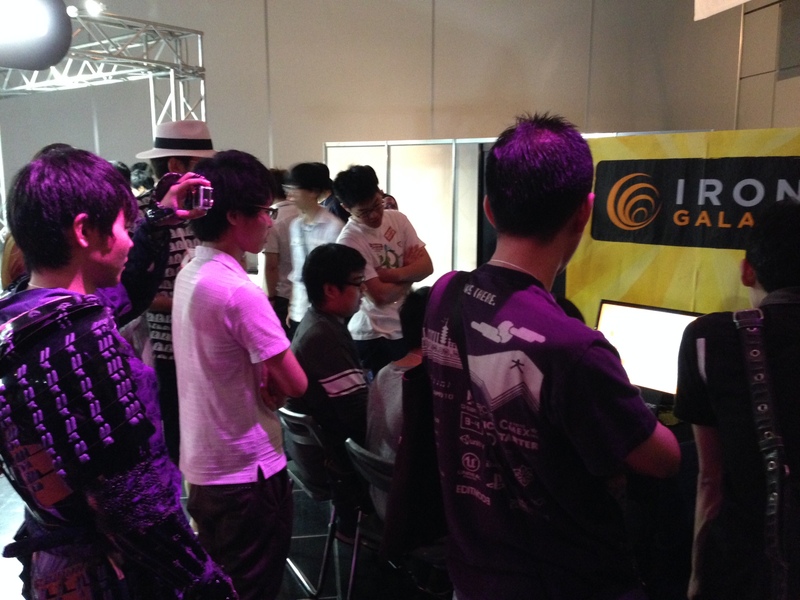 BitSummit, as it happens, is another idea that Cuthbert had a hand in developing. Now three years old, the event has slowly grown into a popular attraction for both foreign and Japanese independent game developers. Beginning with 40 developers in what amounted to a high school gym it's first year, it swiftly jumped to 120 exhibitors in its second. At the most recent event, the Indie Megabooth put in an appearance, giving Japanese developers an opportunity to mingle with their western counterparts. The genesis of BitSummit came about when Cuthbert, Shinra spokesperson and former journalist James Mielke, and handful of others were traveling for the Tokyo Game Show. He remembers Mielke asking of the show, "Where's the indie scene? Why aren't there indie people at the Tokyo Game Show?" Cuthbert continues, "We sort of thought about that, and realized that the Tokyo Game Show is kind of the publisher based show. Just loads of big publishers showing their big games. It's not really an outlet for that kind of creativity. So that's why Mielke said, 'Well, why don't we do a little event?' And the first event was pretty small. Then Mielke used his ex-press contacts and stuff to bring people over and get it all talked about." Even now, Cuthbert continues to work tirelessly on behalf of independent game development in Japan. Goddard, for his part, has started Vitei Backroom - a kind of studio within a studio responsible for Fractures, a lovely little puzzle game shown at BitSummit in which a traveler has to unite disparate elements from different worlds to progress. But while Cuthbert is both a forerunner and a leading figure within the community in Japan, he's certainly not the only one working on the behalf of the indie community there. There are plenty of others, and their influences has grown over the past few years. A little bit of history in the front area at Q Games. 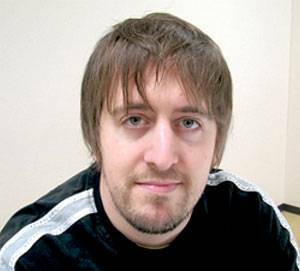 Tagged with dylan cuthbert,	indie games,	indies,	japan,	La Mulana,	moppin,	playism,	Profile,	q-games.